The summer oven of heat got turned up a few notches this week, and I’ve been keeping within the cool confines of our stone house as much as possible. If I don’t move much, and stay mostly in rooms kept shadowed from the sun by the green volets (the old wood shutters that close with iron hooks that let air in but hold the sun at bay), I can make it through most days without keeping my feet in a pan of ice water. It goes without saying that an old French house like ours doesn’t have air-conditioning. But we can’t spend all our time indoors, and yesterday we ventured out to the Paleo Festival in Nyon, an annual music festival with six stages, countless bands, and a week-long schedule, all set out in a field near Lake Geneva. My good friend, journalist Catherine Nelson-Pollard, goes every year, and she took a few aerial shots earlier this week on a morning before the festival got underway. Her blog, Living in Nyon, has a great round-up of the Paleo festival as well as terrific photos. 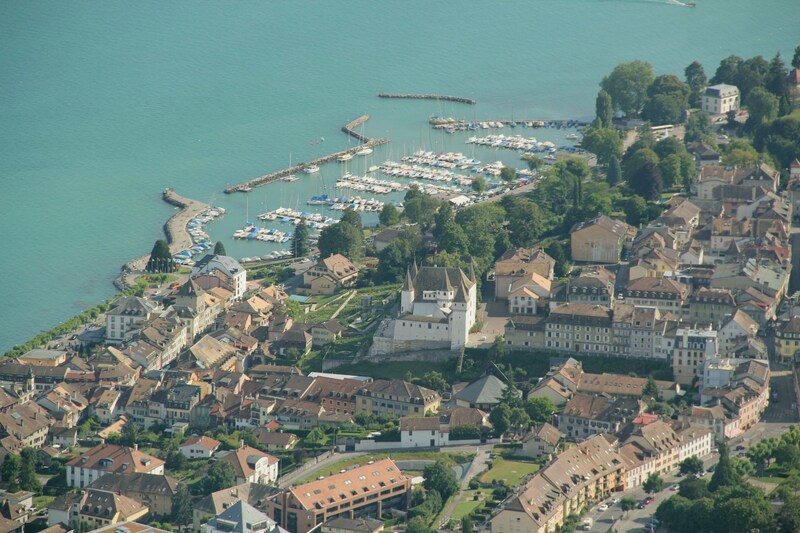 This is the nearby town of Nyon, Switzerland. 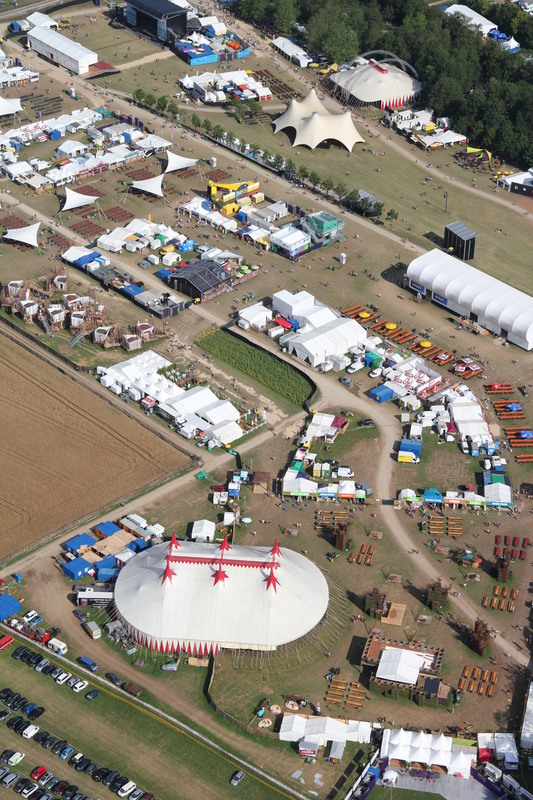 And this is the festival grounds about ten minutes from the medieval town. The festival, now in its 38th year, attracts just under a quarter-million visitors and has a large campsite. There are around 170 acts this year. The thermometer was up around 33°C (91°F) when we arrived at 7:30 in the evening – clouds of mist issued from water walls, a fireman patrolled, spraying water on any festival-goers who looked overheated. The atmosphere is relaxed, friendly, very international (around 40% of residents in this area are foreigners who work international companies and organizations headquartered in the Lake Geneva region), and in spite of the heat, large crowds were dancing to the various bands on the different stages. But we were there to see one act in particular: Nick Cave and the Bad Seeds. This is a group I remember from my university days, and we were excited to get to see them live. They didn’t disappoint. The band was dressed in funereal black suits, the lighting was as indigo-shaded as the music, and as the concert progressed and the sun sank behind the mountains, the twilight sky matched the mood of the ballads and tales of life’s dusky underbellies. Nick Cave’s akimbo moves and basso storytelling were mesmerizing. The crowd was ecstatic and the show was better than we could have hoped. 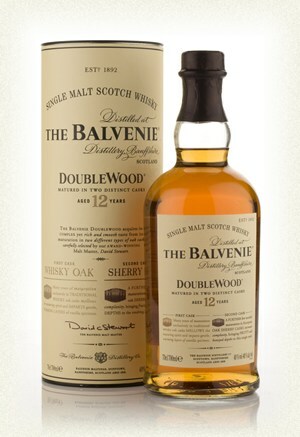 We met the heat with large bottles of water, but deep whisky music calls for good whisky, which is why we brought along a flask of The Balvenie Doublewood 12-year-old to share (yes, Paleo lets you bring in your own food and drink). Smooth, hints of sweet amber from the ageing in sherry casks, some spice and just a faint hint of dark smoke, it is almost too cheerful a drink for the dire lyrics of Nick Cave and the Bad Seeds, but nevertheless, added just the right flavor. In honor of my physicist hubby and festival partner who braved the Lake Geneva heat with me, here’s the Higgs Boson Blues. Like it? 'Like' it! And share it! I'm a writer and environmentalist. I live at the crossroads of prose, social change and scientific inquiry.